The Cultiridger’s main components are a set of spring tines and a pair of discs. The tool was designed to create and maintain ridges, but it can also be used on permanent beds for secondary cultivation or for cultivation work following crop harvest. The tines cannot incorporate crop residue into the ground. It needs to be shredded with a rotovator before using the Cultridger. Once the crop residue has been incorporated into the soil, the well aerated and free draining conditions in the ridges help speed up its breakdown. The tool works up to a depth of 30 cms from the level of the wheelings. The depth can easily be adjusted by changing the height of the depth wheels. At the Jardins du Temple (a market garden in the Isère region), the Cultiridger is set to work at a maximum depth of 10 cms. Deep tillage of permanent beds is not necessary. As well as preserving soil structure, shallow tillage reduces wear of the blades, saves energy and, by allowing a faster tractor driving speed during cultivation work, also saves time. Furthermore, the structure of the soil is not artificially disturbed and thus reduces the likelihood of soil erosion, capping and compaction. With appropriate blades, the Cultiridger can also be adjusted for weeding, breaking down stubble and loosening up compacted soil. Thanks to the adjustable frame, the Cultiridger can cultivate the soil very lightly without destroying the ridges. 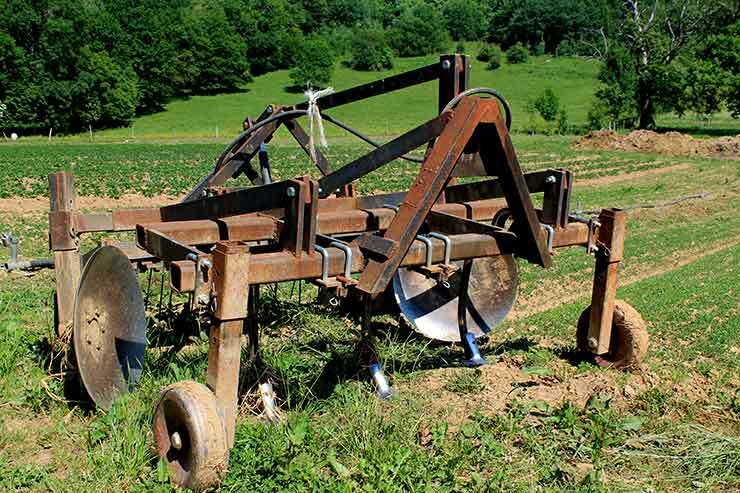 As the blades are detachable, larger goosefoot hoe blades can be mounted onto the Cultiridger to eliminate more effectively young green manures or extensive weed seed emergence. Depending on the tilth of the soil, either a harrow or a double roller can be mounted onto the Cultiridger to complete cultivation work. With the roller mounted at the rear, the Cultiridger can be used as a bed former prior to sowing or transplant. The mounting system for the tines and blades makes the tool easy to adjust. With good forward planning of your cropping plan and a quick investigation of the soil using a hand fork, the Cultiridger can be adapted to work the soil in the most appropriate manner. The soil and vegetables will give you feedback! The Cultiridger is likely to clog up if there is a large amount of crop residue or organic material present. It’s essential to shred this material and let it decompose before carrying out work with the Cultiridger. Fixing only three tines on the tool can reduce the risk of the tool getting clogged up. This displaces some of the soil, so passes need to be carried out both directions in order to maintain a good tilth at the end of the rows. The Cultiridger is not ideal in the fight against perennial rhizomes at the end of rows, as it takes several metres before the tools are in position. More Further adaptations are continuing to emerge! Thanks to the tool’s open frame, you can add one or two tines or goosefoot hoe blades on the side to weed the paths. It’s useful and easy to build mounting plates with holders into which the blades can be slotted, and pins to release them quickly if you’re only using two or three tines. This reduces soil disturbance and wear of the tines, as well the power required. Quelle puissance de tracteur pour un cultibutte? The technical drawings are also available in the Self-build guide, with additional information and research for permanent bed cultivation.Order a Self- build guide here. The technical drawings of the Cultiridger for their lucky owners! The entirety of this article, including descriptions, photos and technical drawings, are available for all to use under a Creative Commons licence.  They can be distributed and modified as long as the user mentions their origins (Atelier Paysan) and ensures that all related tools and documents are also under Creative Commons.